The National Reform Steering Assembly (NRSA) has presented the junta with its long-anticipated recommendations for developing post-coup Thailand. But iLaw, a watchdog NGO, has pointed out that much of the NRSA’s reform package was merely copied and pasted from other sources. Several pages from the 1,342 article long report appear to have been lifted directly from previous reports written by the NRSA’s precursor, the National Reform Council (NRC). The junta appointed both bodies with the task of designing policies to push the country beyond chronic problems such as political unrest and economic stagnation. The ‘State of the Problems’ section on pages 1-2 of the NRSA report, for instance, appears to have been borrowed directly from a previous NRC report, bar minor edits such as some verbal flourishes and an updating of positions. But some copy-and-pastes, spanning many pages, featured no updates at all. Nutchapakorn Nummueng, a representative from iLaw, worries that the junta’s policy of ‘reform before elections’ is merely a ploy to extend the NCPO’s time in power. While the NRSA’s duties were completed on 31 July, an act passed by the junta-appointed legislature on the same day mandates the appointment of a new 140-person ‘reform committee’. “Over the past three years of national reform, we have seen few new, creative, deep or even concrete proposals. On the other hand, the NRSA has allocated itself a budget of billions, until it seems that speaking of ‘reform before elections’ is only an excuse to remain under the power of the NCPO indefinitely,” argued Nutchapakorn. 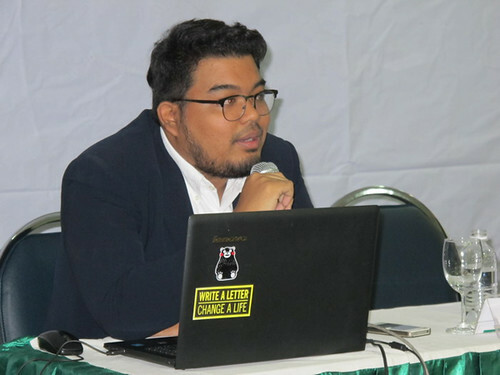 Besides the plagiarism, iLaw argues that some 75 per cent of the recommendations are too abstract to be implemented, with few concrete proposals. “The NRSA is called the National Reform Steering Assembly, but there has been very little concrete direction. One part of it is because the recommendations lack clear substance. Another part of it is that the NRSA doesn’t have any real power. All the recommendations await approval from the government … there are no innovative approaches to reform able to change society.” Nutchapakorn added.